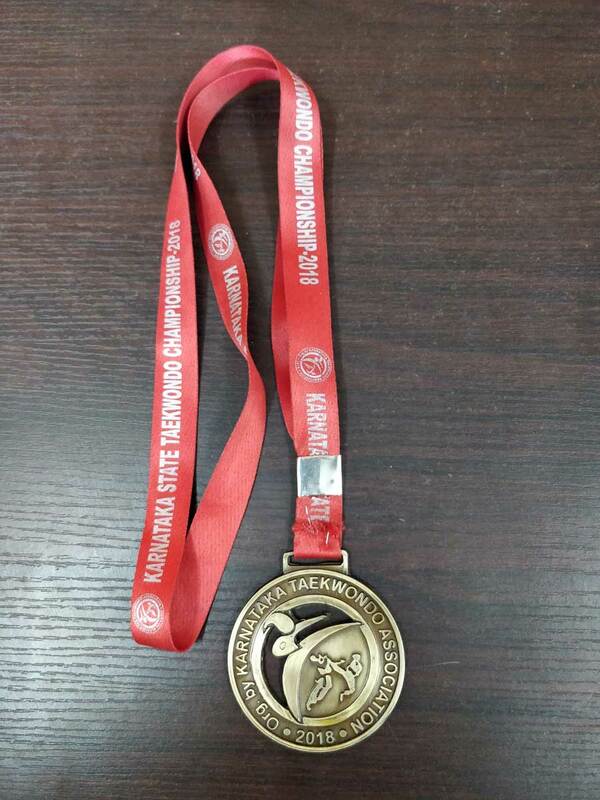 Master Chinmay (Class 2) of Sri Sarvajna Public School was awarded the Gold Medal in Karnataka State Taekwondo Championship 2018 that was held at Koramangala on 5th August 2018. We are proud to have him as a part of Sarvajna! 4. 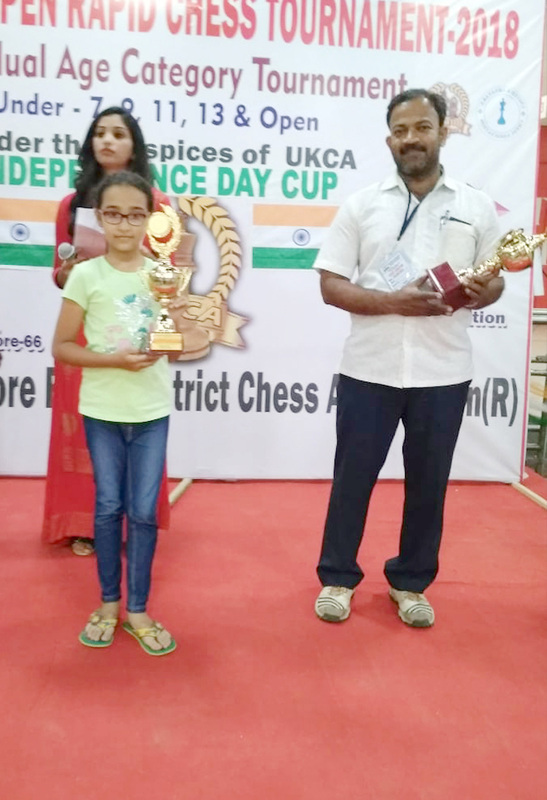 Congratulations Miss Krishaa Jodawath for winning the second place in the chess open tournament. 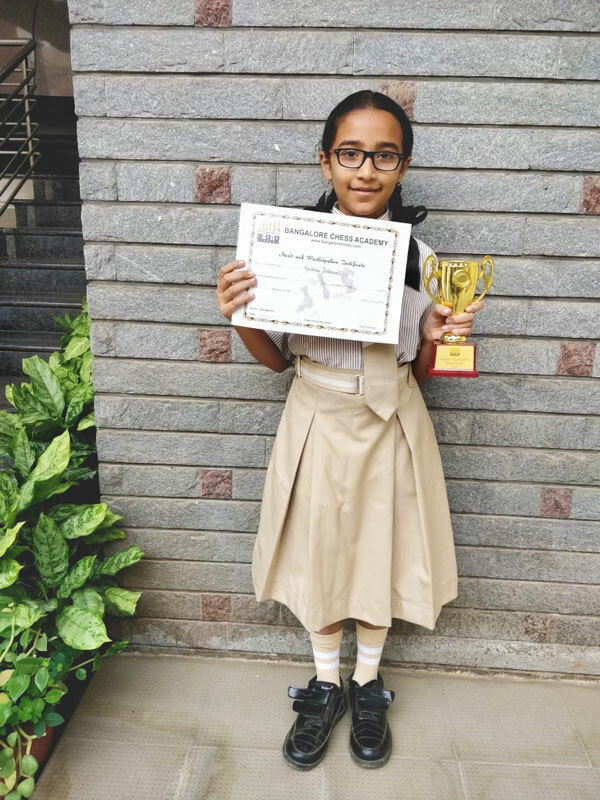 Miss Krishaa Jodawath (Class 3) of Sri Sarvajna Public School was awarded the second position in the chess open tournament that was organised by Rainbow Club Kids Library in association with Universal Chess Academy on the 22nd of July 2018. Your efforts and achievements make us proud! 5. 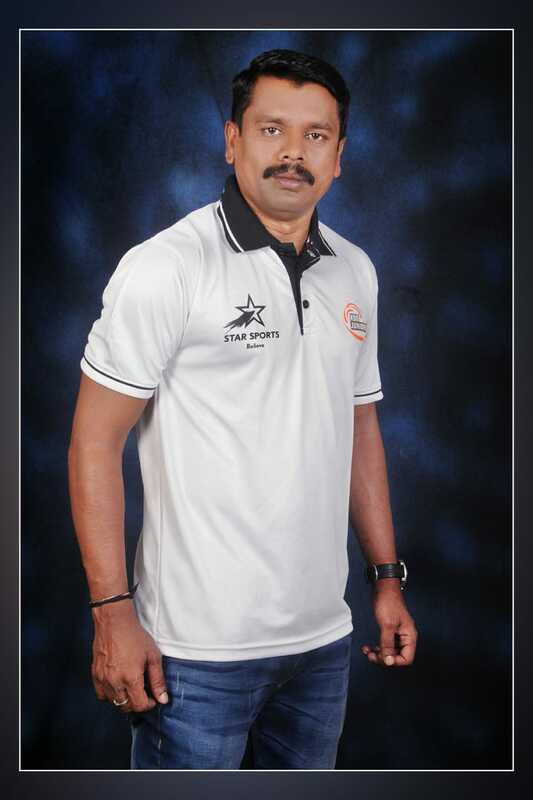 Hearty congratulations to our alumnus, NK Shivanna for being selected as a Kabaddi referee at the Asian Games! Well wishes to our alumnus, NK Shivanna for being appointed as a Kabaddi referee to officiate the Asian Games in Jakarta, Indonesia. Asian Games is scheduled to be held from 18th August to 2nd September 2018. You have made all of us proud! 6. Congratulations, Miss Krishaa Jodawath for winning the second place in the chess tournament. 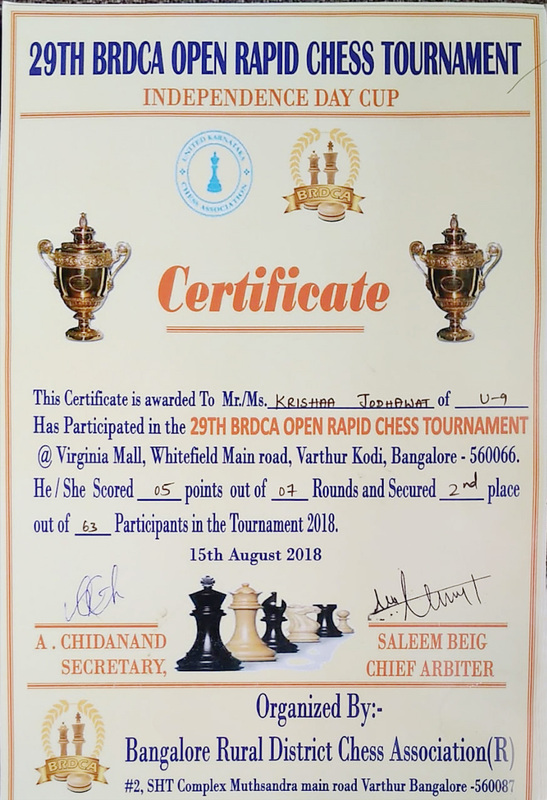 We are proud to announce that Miss Krishaa Jodawath (Class 3) of Sri Sarvajna Public School bagged the second place in the 29th BRDCA Open Rapid Chess Tournament held on 15th August 2018. She took part in the competition with 62 other participants and scored 5 points out of 7 rounds to win the second place. We are sure that you will continue to bring more accolades to our school! 7. 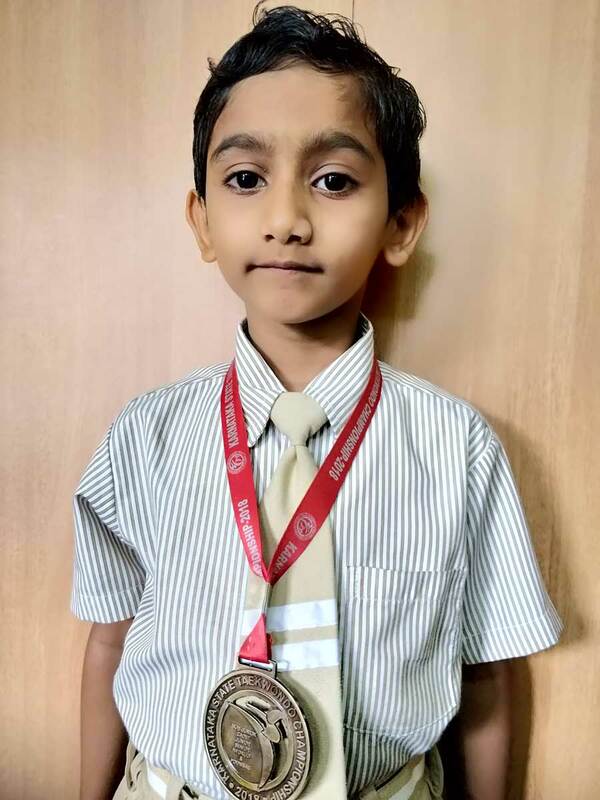 Krishaa Jodhawat makes Sarvajna Public School proud again! 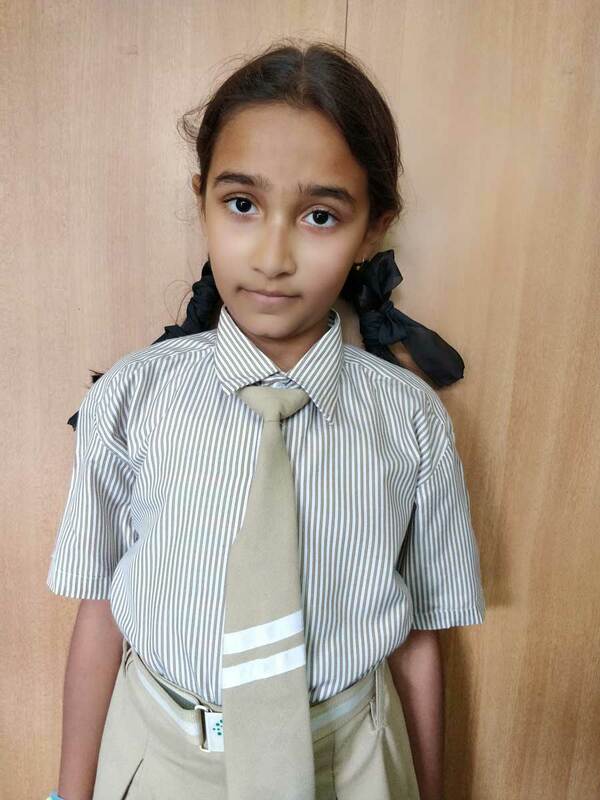 Krishaa Jodhawat of Class 3, has made the entire Sarvajna Public School proud by bagging the first place in the Children Chess Competition. The event was held on 23/09/2018. 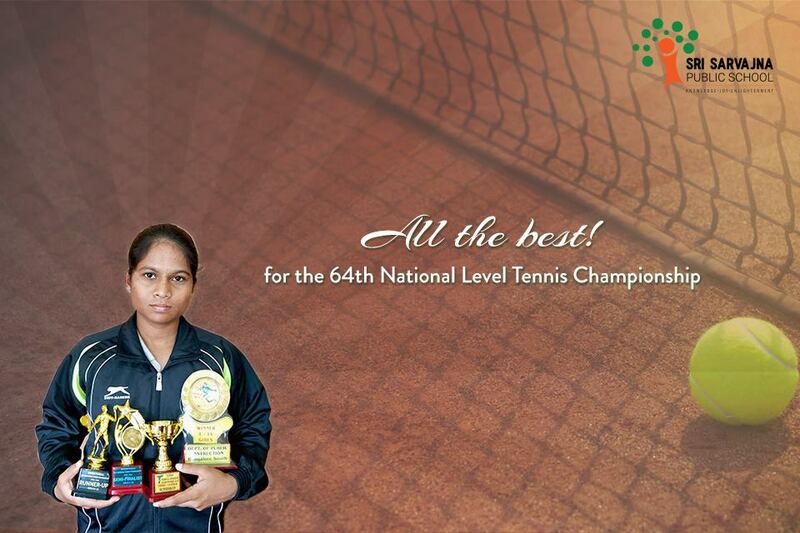 Sushma S M w representing Sri Sarvajna Public School in Bhubaneswar for the 64th National School Games U17 Tennis Championship 2018, being held at KIIT University between 7th and 11th December 2018.